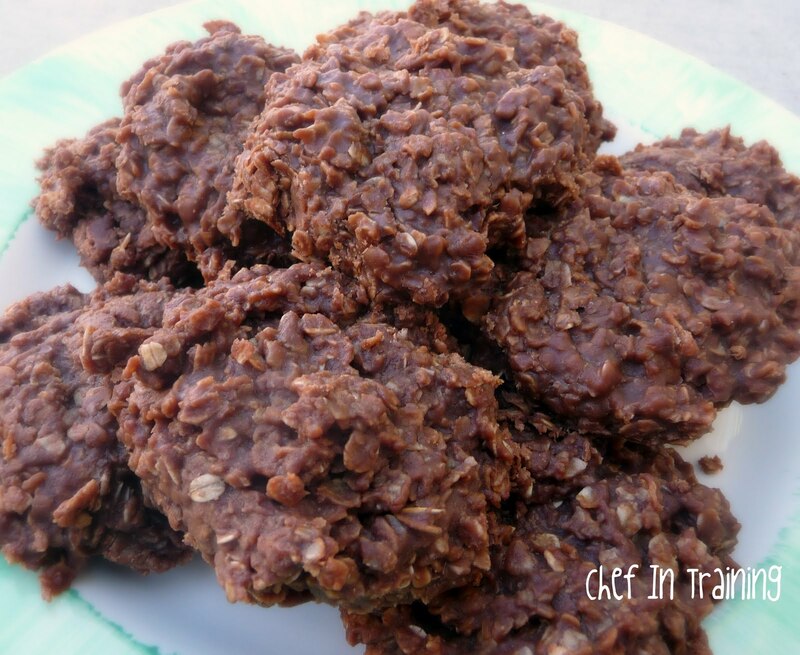 This is yet another “Monkey” Themed food we served at my daughters party.”Gorilla Poops” :)Once again, this is a recipe I previously posted, but its always fun to relive and redo recipes!Growing up, we always called them Gorilla Poops. I know it’s a strange name, but that is what I know them as! Cook sugar, milk, butter, and cocoa over moderate heat until mixture comes to a full rolling boil. Once mixture is a full rolling boil, cook for 1 minute. Remove from heat Add oats, vanilla, and peanut butter (or nutella). Mix until well blended. Spoon onto waxed paper and let cool. I use this recipe quite often (especially in the summer when I don't want to turn the stove on). They are delicious. :) I usually try to under cook mine just a little so they stay a little moist in the center. That's funny! We called them Goose poops in our family, not really sure why! Nice to know we are not alone in our crazy names for these. I still have fond memories of covering every available surface with wax paper and making dozens and dozens of these as a teenager. Usually I even put a couple in the freezer so I could eat them faster! Yum. Love no bakes. But using the quick oats tends to make them dry tasting. I have used regular old fashioned oats and they have a better taste, texture, and seem to stay moist and yummy. I found this recipe via Pinterest and omg...soooo good! They're slightly addictive! The pb to chocolate ratio is perfection in this recipe! They were perfect when I was craving something chocolatey but I didn't want to have to wait for anything to bake :) Thanks for sharing the recipe. I'll definitely make them again and again! My favorite cookies, I always add 1/2 cup coconut as well. They are great! Growing up we called them dinosaur poop. I think everyone has a name for them.i never thought of useing biscoff with them. We grew up calling them Cow Patties and I love them. I have also heard them called Dooky Wads. However bad the names, I still would like to have some right now. I definitely can't eat just one. I made a double batch of this great recipe and it was a hit!!!! Every piece of poop got gobbled up! It was easy. Clear directions (which I needed) and great truthful comments! Thanks for your website...will be trying more recipes for sure! I am going to try it again with less sugar and will revisit. I too thought about coconut being an excellent addition. My Mom always made these when we were kids, but she poured the mixture into a 9x13 aluminum pan with a sliding lid. we sliced them into squares, and we called them "poop turds" . hahaha. poop turds. I used to eat these all the time as a kid and a loved them! I made them last night for my friends and they were blown away at how good they tasted. I added an extra half cup of oats because I prefer them that way, but everything else I followed to a T! Thanks for posting this, I've been looking for this recipe for years.